I had a speech at the Rotary Club in Prescott yesterday and then traveled the back way to Payson to pay my respects to a legendary Arizona journalist, editor and author, Don Dedera. It was his 89th birthday and Marshall Trimble and myself spent part of the afternoon listening to the Man of the hour regale us with old-time Arizona history. 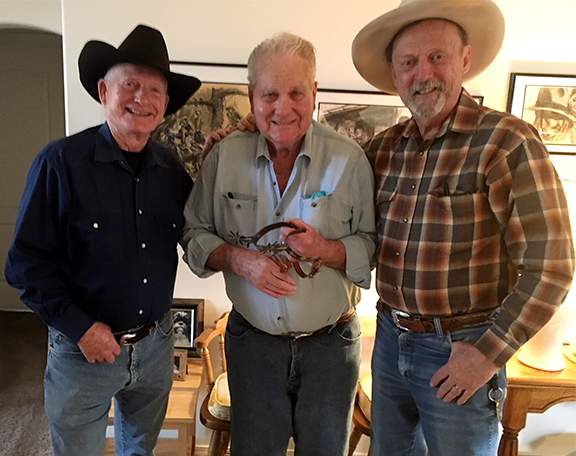 Don is holding the pair of spurs the Power brothers made for him in prison. Their tragic story will be featured in an upcoming issue of True West. I later told Marsh I felt like we were visiting an old school teacher we admired from our youth. Don is a handful. At one point he said to me, "Where'd you get those ugly boots?" I started to answer, but he didn't want to hear the answer, he was off on another story. I think it's safe to say Marsh and I like to talk, but I don't think we got in ten words between us. As it should be! Full disclosure: The Power brothers is a story I have avoided telling for the past thirty-five years. I'm not sure why it never connected with me. Perhaps it's the pettiness of the spark that created the disaster—draft dodging! The newspaper at the time screamed, "OFFICERS KILLED IN BATTLE WITH SLACKERS". At any rate, this is a story I intend to tell with help from Don and a new book out on the 100th anniversary of the killing, "Arizona's Deadliest Gunfight: Draft Resistance and Tragedy at the Power Cabin, 1918," by Heidi Osselaer. "Two old men, ghosts from the Old West, freed from prison by a crusading newspaper columnist, into a world of freeways, jetliners and space exploration." "These guys were in prison for 10 years before I was born. They served another decade before I ever set foot in Arizona. We're talking 20 years. They served another decade before I could get through school and my service and get through (Arizona State College) and get a job on the paper. Thirty years! They served another decade before I'm sitting across the table from them at Florence. That's 40 years!" I think that power is in intelligence. It's very important to be a good student and I must say https://writemyessay4me.org/blog/informative-essay helps me a lot with this. I was Don's auto route paperboy in 67. How old is he now? He is pretty powerful indeed. It's a great story to check out here. 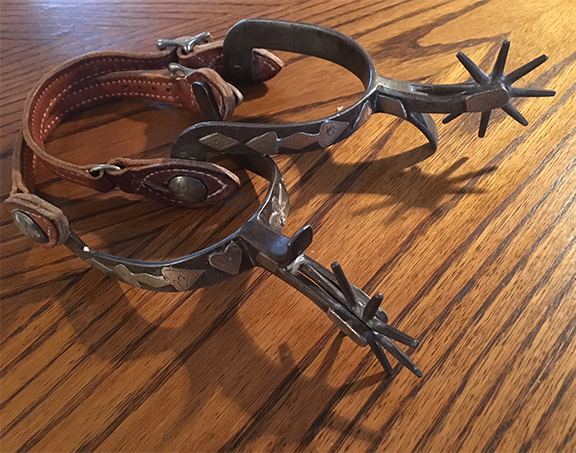 I too have a pair of spurs made for my Grandfather by the Powers brothers. My Grandfather was Captain of the Guards and trained the hounds for the prison at their time in prison. Was trying to find more info and pics of spurs they had made.